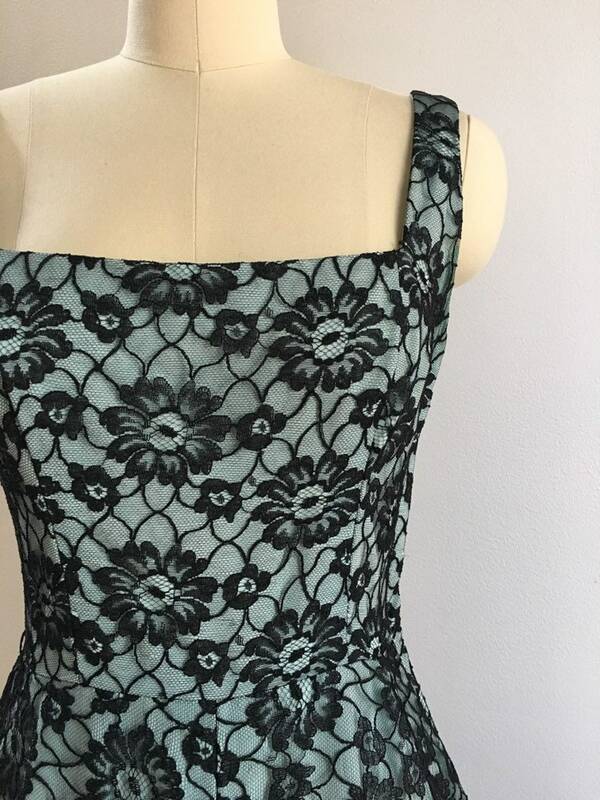 Vintage 1950s women's sleeveless wide strap light teal formal dress with black floral lace overlay. 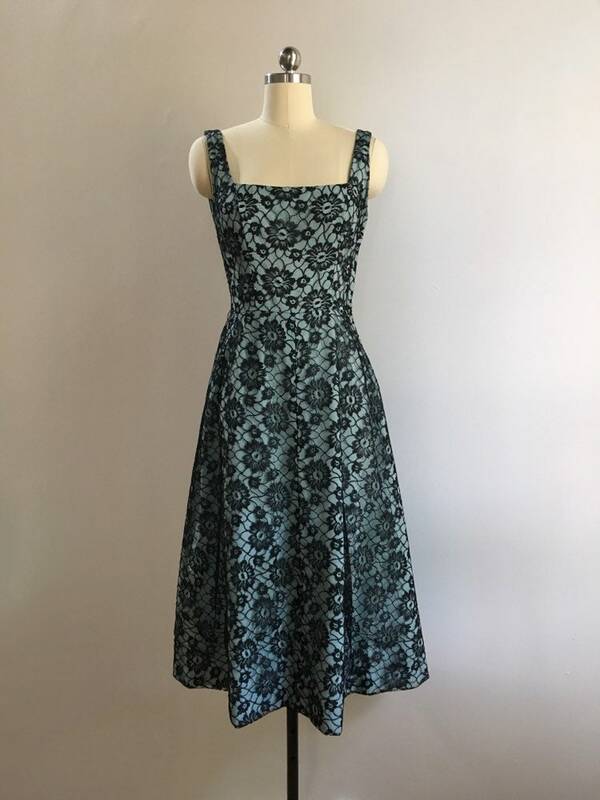 Good vintage condition; some wear from age and use. Some visible underarm discoloration that would not come out with cleaning (see photos). 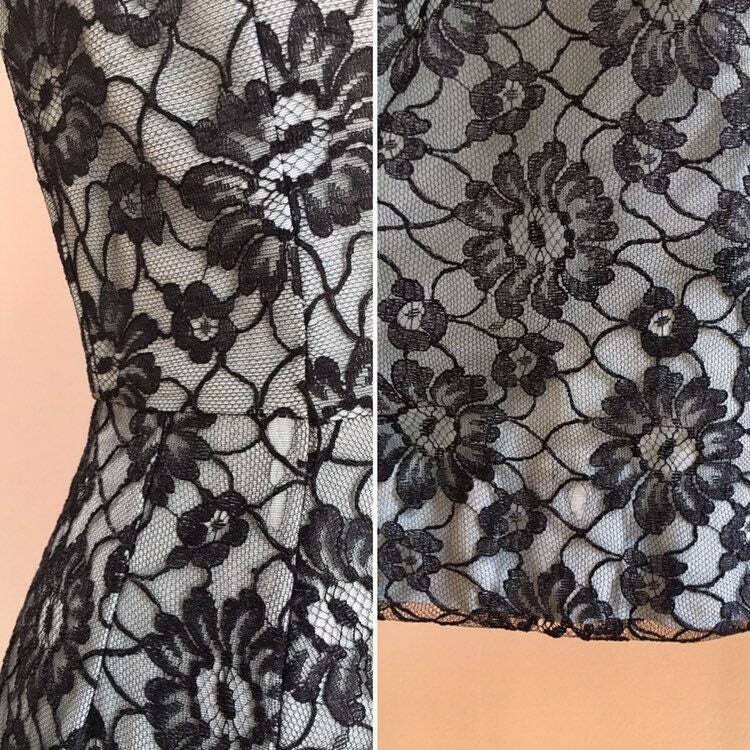 Some small holes in lace (see photos). No other holes, rip, stains, tears, markings, areas of discoloration, open seams, fading or other issues / damage other than noted. Still very wearable. Priced accordingly due to damage. 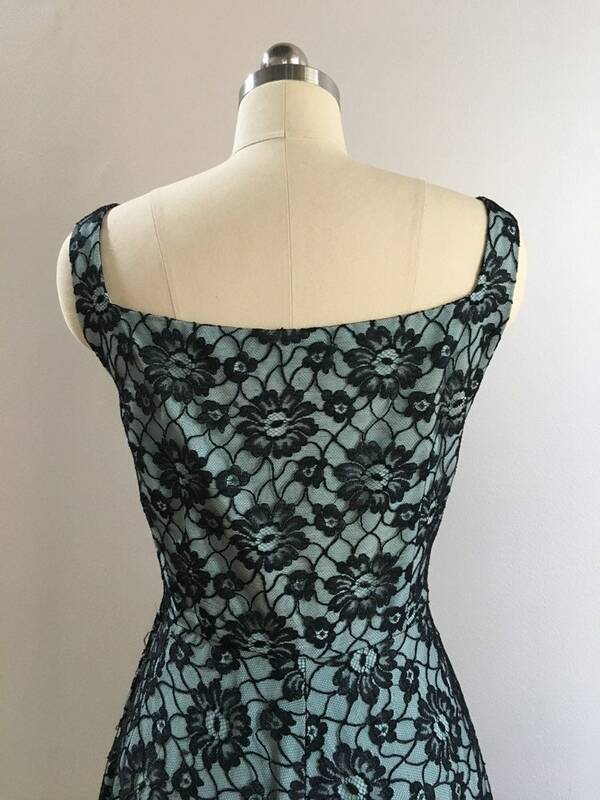 Bodice has square neckline with wide shoulder straps. 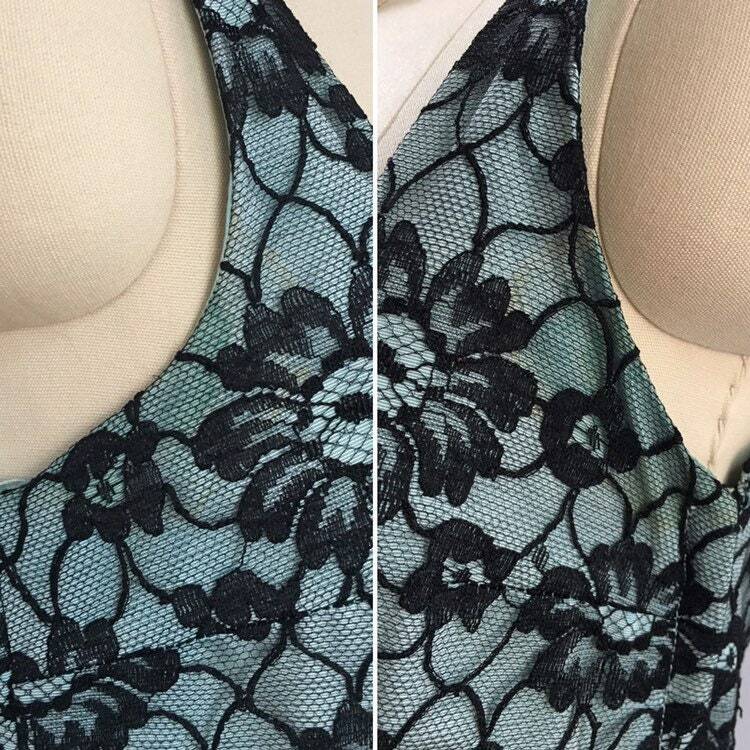 Vertical princess seams over bust for fit. 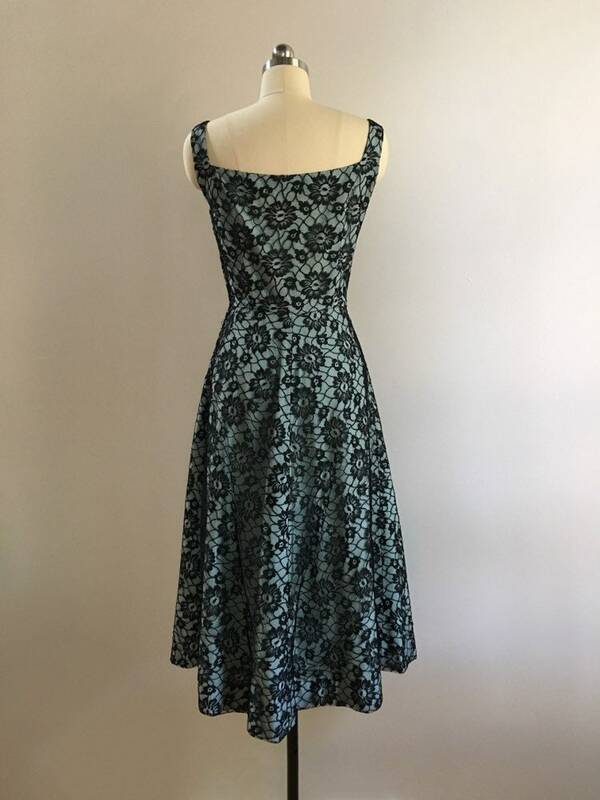 Horizontal seam at waist. 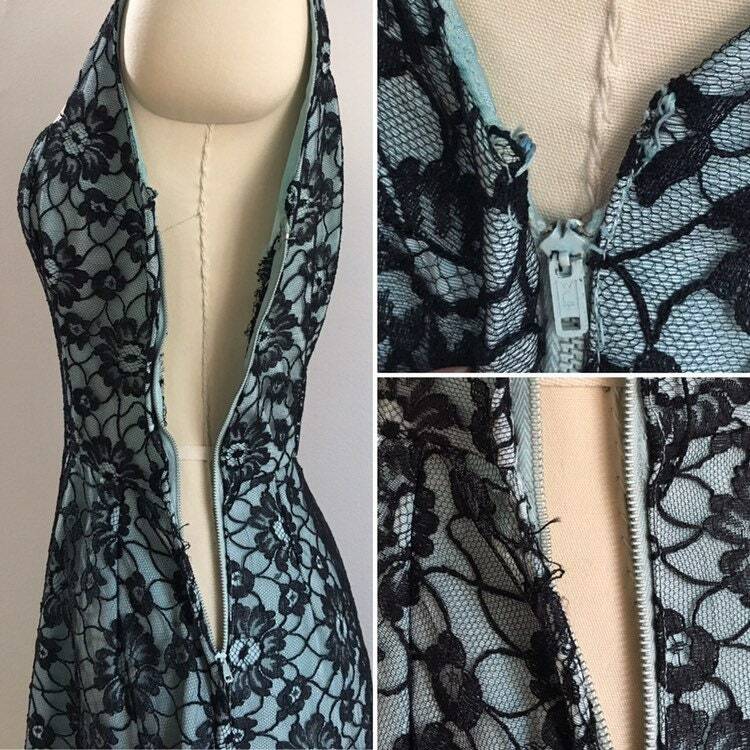 Metal zipper on left. 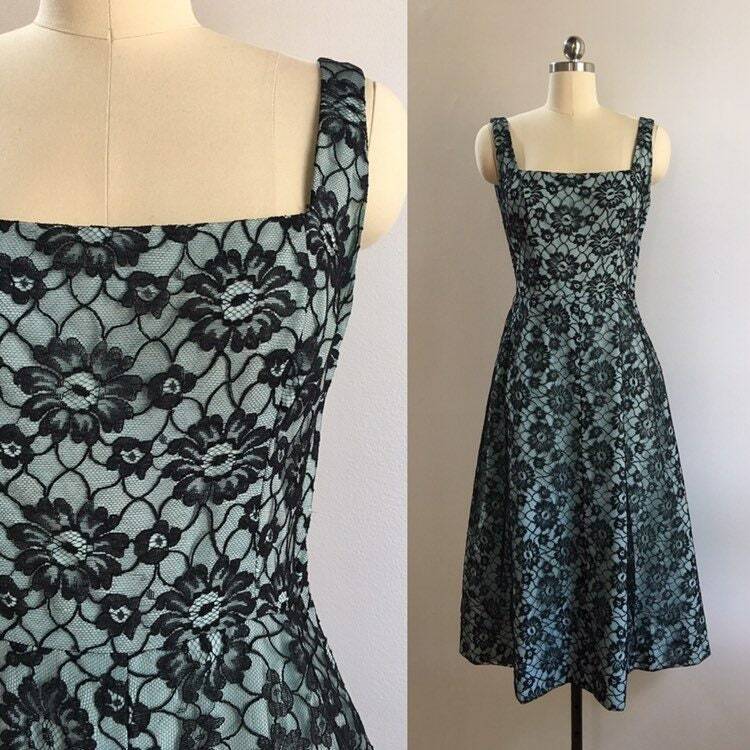 Zipper is in great working condition with no issues. 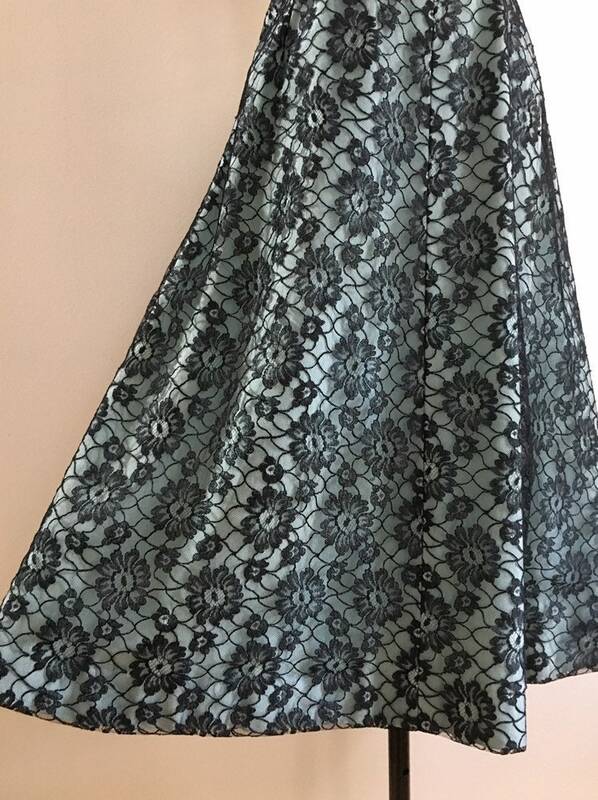 Skirt is a full A-line with lots of great movement. 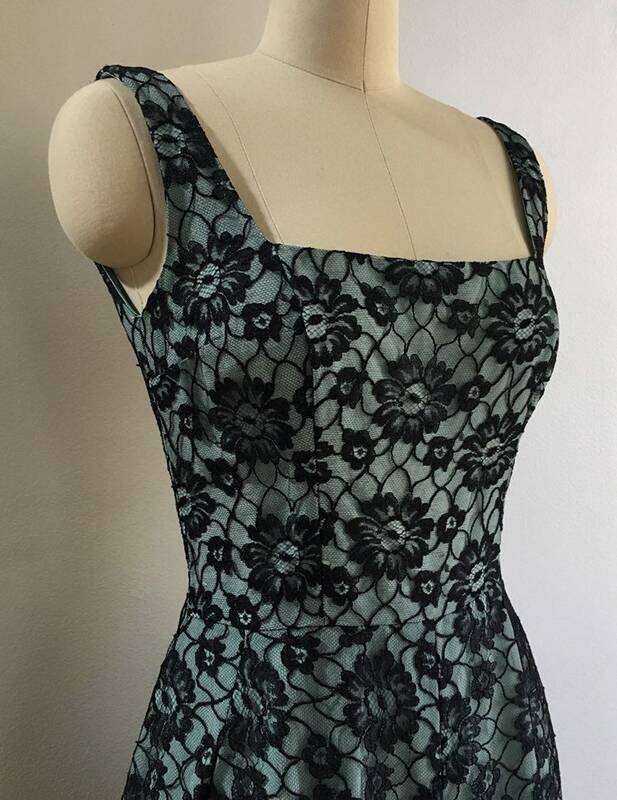 Dress is slightly larger size than mannequin; dress is pinned to fit mannequin.